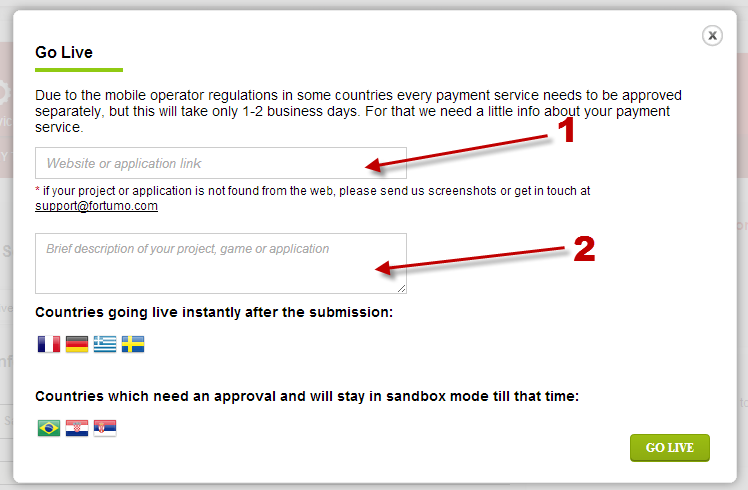 Notice list of countries below: “Countries going live instantly after the submission:”. When users from those countries send SMS to your service, they will get reply message – after submission, your service in those countries is instantly active. 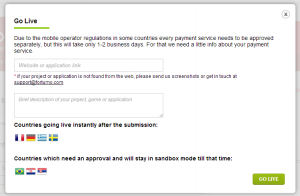 But, for countries below: “Countries which need an approval and will stay in sandbox mode till that time:” you will need approval for your service to become active. 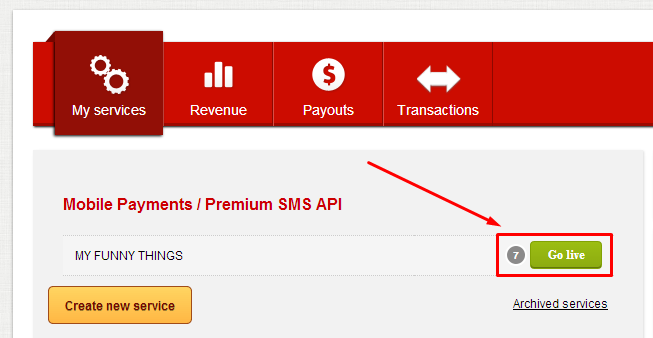 SMS sending instructions should exist for each one of the countries where your service needs to be approved. 2.) Short description of your project / SMS service. Now, click “Go live” again. 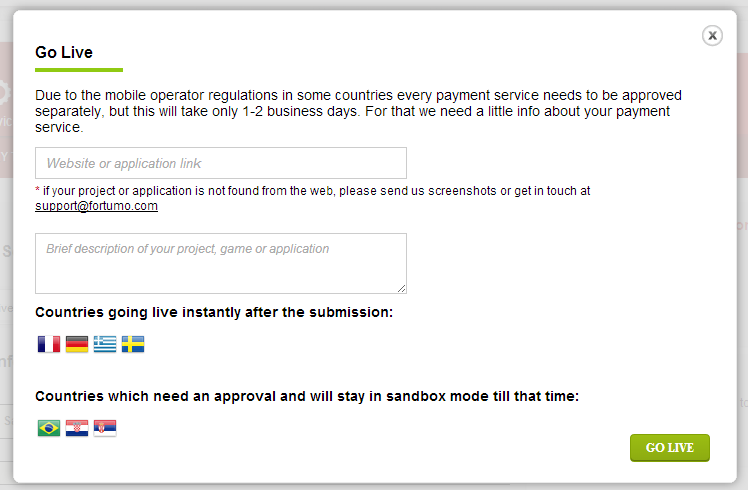 Now you have to wait a few days for approval, after that, your service will be active in all selected countries.